3) Haizol.com believes that the Registered User's actions may cause financial loss or legal liability to such Registered User. We respect the intellectual property rights of others and request that you do the same. You are hereby informed that Haizol.com has adopted and reasonably implemented a policy that provides for the termination in appropriate circumstances of subscribers and account holders of Haizol.com’s system or network who are repeat copyright infringers. If you believe your copyright or the copyright of a person on whose behalf you are authorized to act has been infringed, you may notify your Account Manager. With thousands of Users using Haizol.com each day, we expect each and every Users to conduct responsibly. We request those who assert claims of infringement to stand behind their claims. 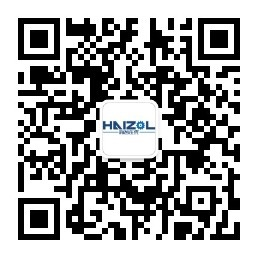 By submitting a report of alleged infringement to Haizol.com, you agree to indemnify Haizol.com against claims or damages arising from the violation. IN NO EVENT SHALL HAIZOL.COM, ITS AFFILIATES, DIRECTORS, OFFICERS AND EMPLOYEES BE LIABLE FOR ANY DIRECT, INDIRECT, PUNITIVE, INCIDENTAL, SPECIAL, CONSEQUENTIAL DAMAGES OR ANY DAMAGES WHATSOEVER INCLUDING, WITHOUT LIMITATION, DAMAGES FOR LOSS OF USE, DATA OR PROFITS, ARISING OUT OF OR IN ANY WAY CONNECTED WITH THE USE OR PERFORMANCE OF THE HAIZOL.COM WEBSITES, WITH THE DELAY OR INABILITY TO USE THE HAIZOL.COM WEBSITE OR RELATED SERVICES, THE PROVISION OF OR FAILURE TO PROVIDE SERVICES, WHETHER BASED ON CONTRACT, TORT, NEGLIGENCE, STRICT LIABILITY OR OTHERWISE, EVEN IF HAIZOL.COM HAS BEEN ADVISED OF THE POSSIBILITY OF DAMAGES. Each User hereby agrees to indemnify Haizol.com, its affiliates, directors, officers and employees harmless, from any and all losses, claims, liabilities (including legal costs on a full indemnity basis) which may arise from such User's use of the Site (including but not limited to the display of such User's information on the Site) or from its breach of any of the terms and conditions of this Agreement. Each User hereby further agrees to indemnify Haizol.com, its affiliates, directors, officers and employees harmless, from any and all losses, claims, liabilities (including legal costs on a full indemnity basis) which may arise from User's breach of any representations and warranties made by User to Haizol.com. Each User hereby further agrees to indemnify and save Haizol.com, its affiliates, directors, officers and employees harmless, from any and all losses, claims, liabilities (including legal costs on a full indemnity basis) which may arise, directly or indirectly, as a result of any claims asserted by Third Party Rights claimants or other third parties relating to products offered or displayed on the Site. Each User hereby further agrees that Haizol.com is not responsible and shall have no liability to it, for any material posted by others; including defamatory, offensive or illicit material and that the risk of damages from such material rests entirely with each User. Haizol.com reserves the right, at its own expense, to assume the exclusive defense and control of any matter otherwise subject to indemnification by you, in which event you shall cooperate with Haizol.com in asserting any available defenses.